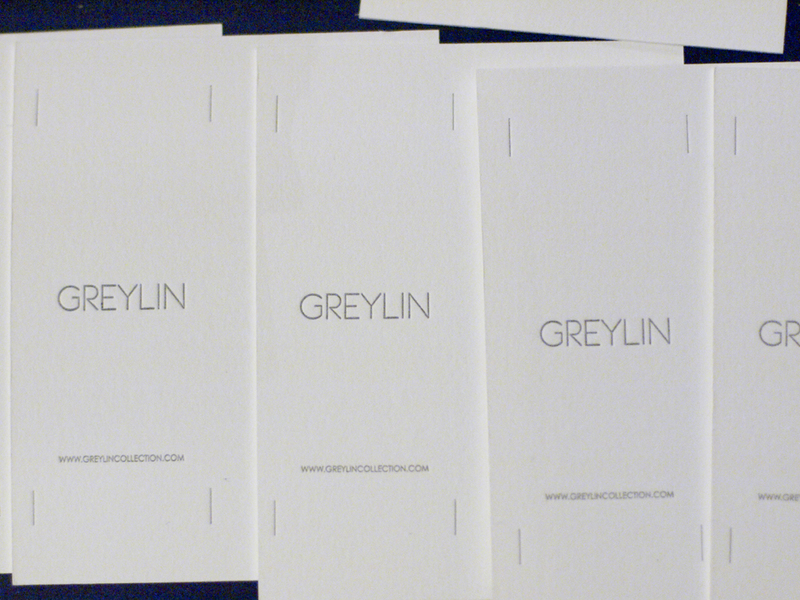 Here are some early pictures of a business for Greylin, a wholesale apparel company based in Los Angeles. The final product will be double sided with a blind debossed pattern on one side with colored text, and on the back side the name and website simply stated. Check back soon for the final product.